The center is a breath-taking digital panel. With all the focus on the panel the complimentary fabrics work to enhance the image even more. 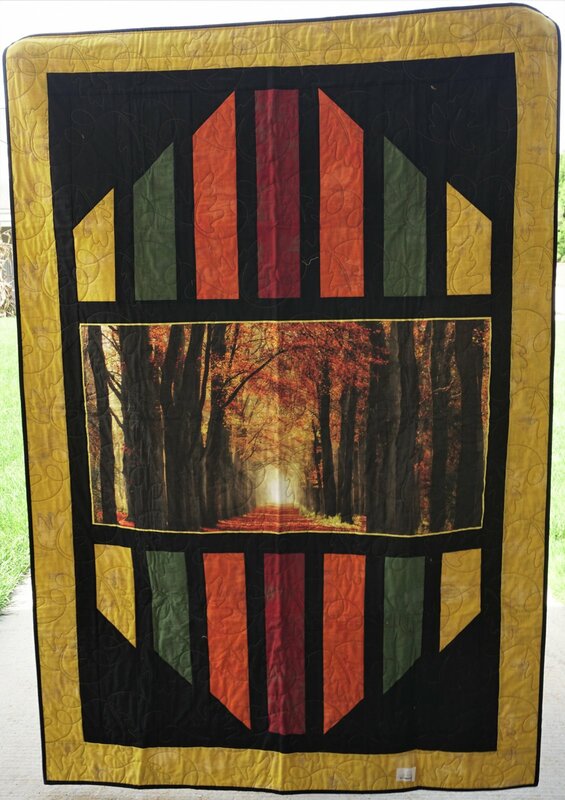 Moda fabrics were used to frame the panel from Quilting Treasures.